Red, white, and blue all over! 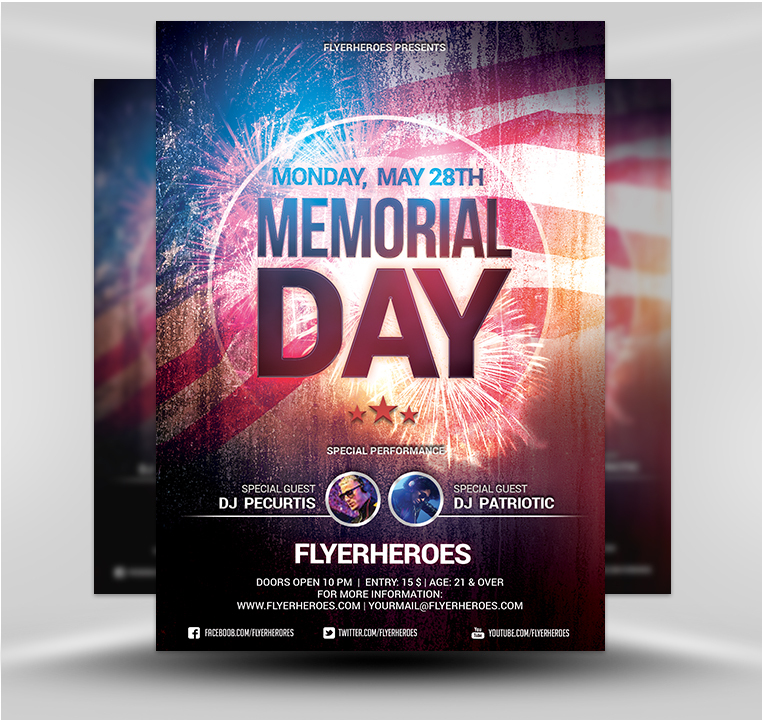 Eye-catching and patriotic in appearance, our Memorial Day flyer is the perfect marketing tool to promote your Memorial Day event. 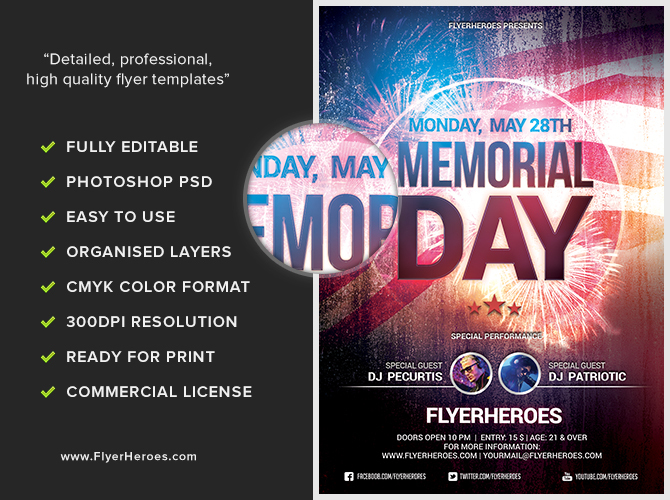 Once you’ve customized the flyer with your event’s details, simply save and print out your beautiful flyer. 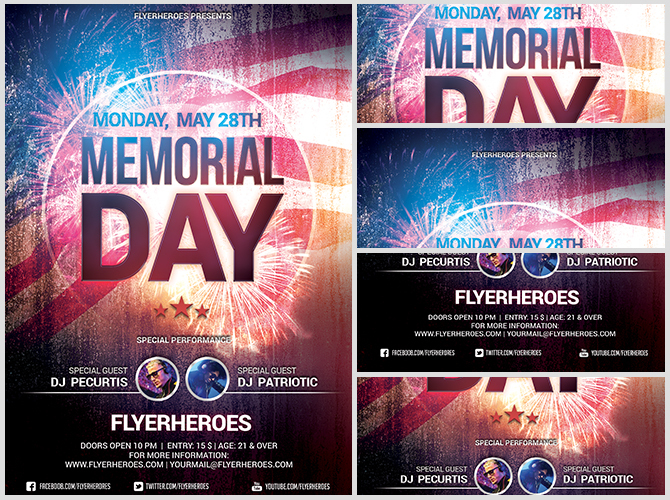 You can even use the flyer in digital format to promote your Memorial Day holiday offering over the internet and via e-mail. 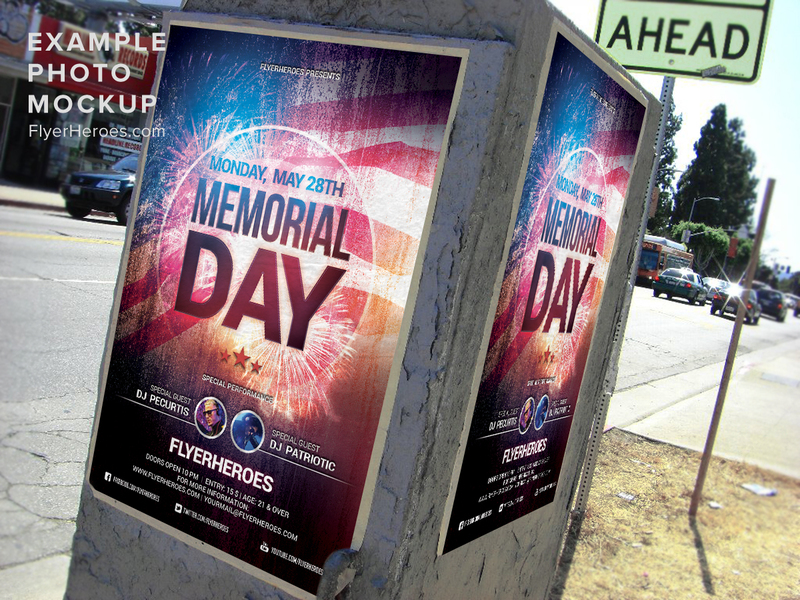 Distribute the flyer and mini American flags in targeted high foot traffic areas. Tuck the flyer and mini American flags into envelopes sealed with an American flag sticker. Mail via postal mail. 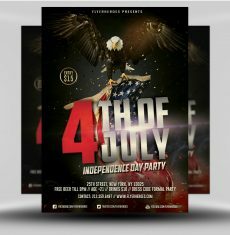 Use the digital flyer’s image to create a patriotic looking postcard to promote your event. Post the digital flyer’s image on your social media sites. Insert the flyer’s image in a tweet or blog post on remembering the American soldiers who died during military service. Have staff members dress in red, white, and blue outfits to hand out flyers and red, white, and blue colored candy in front of busy fast food restaurants, coffee houses, and health clubs. Distribute stacks of the flyers to veteran’s hospitals, clubs, and organizations. Hand out flyers to people attending local sports activities. Leave stacks of flyers in community centers, religious building’s common areas, on supermarket bulletin boards, and in public libraries.